Yes, there's more than one! 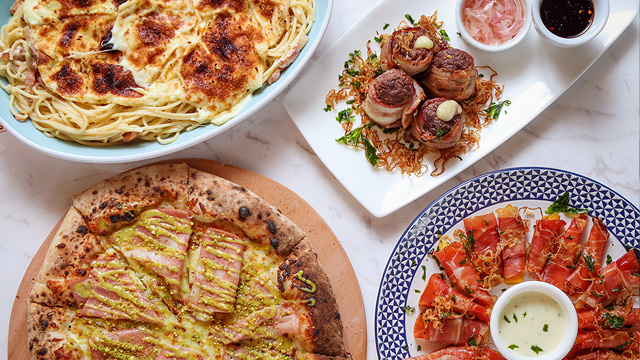 (SPOT.ph) Some food trends may come and go, but matcha is here to stay, especially when there are still so many people who can't get enough of it. 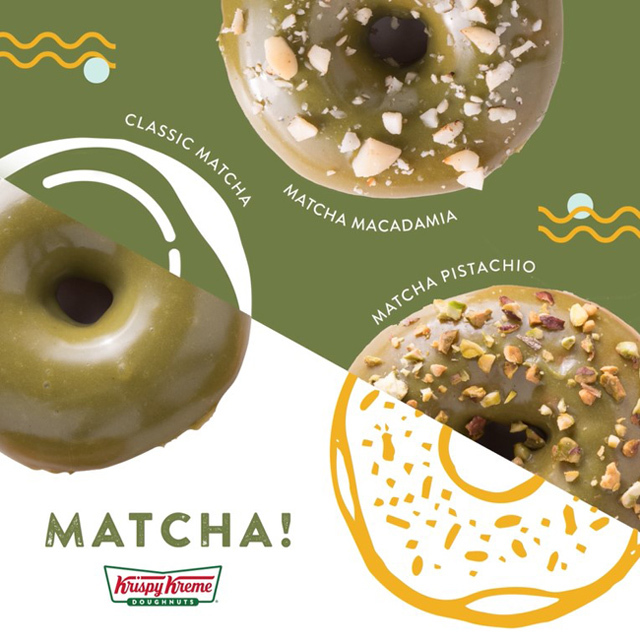 If you're one of those green tea fans, Krispy Kreme has a treat for you: They've launched not just one, but three new matcha doughnuts. 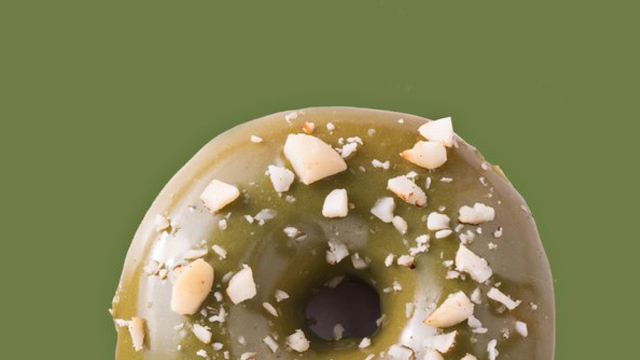 The Classic Matcha (P49/piece), or Krispy Kreme's signature Original Glazed doughnut topped with an earthy matcha glaze, should be enough to sate your cravings. 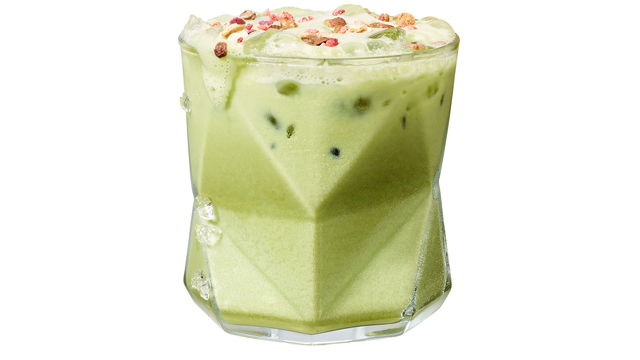 But if you prefer some crunch, you can choose between the Matcha Macadamia (P55/piece) and Matcha Pistachio (P55/piece). 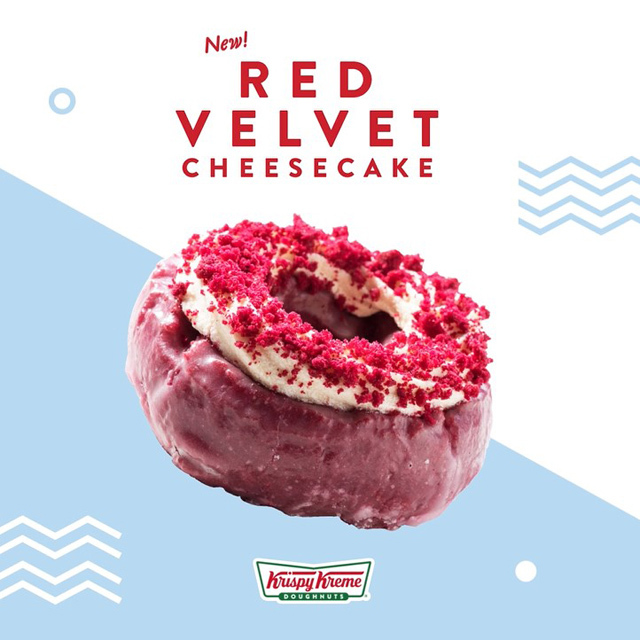 Aside from their matcha doughnuts, Krispy Kreme is bringing red velvet back with their Red Velvet Cheesecake (P55/piece), a luscious red velvet doughnut topped with a generous swirl of cream-cheese frosting.